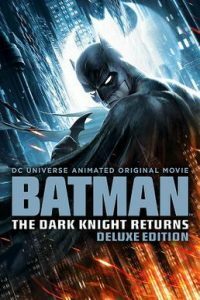 Published: May 5, 2018 | This entry was posted in North American New Right and tagged Bartman, Batman: The Dark Knight Returns, movie reviews, North American New Right, superheroes, The Dark Knight Returns, Trevor Lynch. Both comments and trackbacks are currently closed. In the 3rd ‘Dark Knight’ graphic novel by Frank Miller, entitled “Master Race,” the primary antagonists are a group of very Abrahamic separatists from Superman’s home planet of Krypton. Thanks for your work! John Press, PhD. I’d say that the absolute worst choice that the adaptation made was to altogether eliminate voice-overs (expressed in the graphic novel in the form of thought balloons). Those thought balloons are a key element that makes the graphic novel so powerful, treating us to riveting insights into Bruce Wayne’s state of mind throughout the narrative. The adaptation loses many of those insights, or awkwardly and artificially forces them to be vocalized. This choice was made, no doubt, due to a nasty piece of “advice” that entry-level screenwriters often encounter, to wit, that they should avoid voice-overs. And yet many of the best films benefit greatly from voice-over narration. This adaptation certainly should have availed itself of it.